What a year it has been! Here at SORCE we have been delighted to work with some great new clients and win the Best Intranet Solutions award. Now it’s time to turn our attention to Christmas and how our intranets can embrace the festive season. Here are our top tips to get you started. 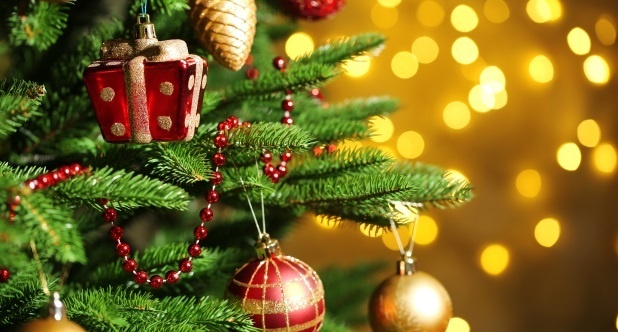 Christmas is a great time of year to boost your intranet engagement. It’s the one time of year that everyone often comes together, so make the most of it and make your intranet THE place everyone needs to go to find out about all things festive. If anyone wants to know anything about your Christmas party, your intranet is where they need to go. From deciding what to do, to managing the event and sharing photos, your intranet can manage all of this. Create an area where colleagues can thank each other for their help and great work well done by giving each other festive Hi Five. A great way to spread good will around the office. What better way to get everyone excited about this year’s secret Santa than your intranet. 24 days to Christmas virtual advent calendar with interesting company facts, team jokes or did you know interesting facts about each other. It could be snow, trees or whatever you choose. Christmas images, video and music all generate great engagement. Create your own Elfie Selfie and share it through your intranet. Run a festive intranet treasure hunt, hiding images across your intranet and give everyone clues as to where they are. Everyone completes their treasure hunt form and enters a raffle to win a festive prize. Use your intranet to promote and launch a Christmas fundraising event. Whether it be a Christmas bake off, gift collection or an event for a local charity, your colleagues will love the chance to get involved. Take the opportunity to ride the festive wave and remind everyone about important procedures, such as how to go about booking holiday, Christmas office cover, gifting policy, entertaining clients and anything else relevant to your business. Take some photos of every departments decorated area and publish them. Colleagues love a bit of competition and will love to show how festive they are. Use your intranet as the place to go to download your corporate digital Christmas card. 11. Finally, don’t forget to wish everyone a Merry Christmas and include a message of thanks for all of the work the company has achieved over the year. This might be a great festive video or message from the CEO. I hope this has got you thinking about how you can get your intranet into the festive spirit and generate some great engagement amongst your colleagues. Here at SORCE, as intranet software and consultancy providers our software powers the intranet and extranet for hundreds of organisations. Our clients cover a wide range of sectors from finance to manufacturing, not for profit organisations (such as charities and housing associations) as well as local authorities and other public sector agencies. If you would like to find out more please get in touch.